This week, the Montana Budget and Policy Center (MBPC) revealed county and regional data highlighting the critical role Medicaid expansion has played in Montana. • 4.14 percent are American Indian. In the Eastern region of Montana (Carter, Custer, Daniels, Dawson, Fallon, Garfield, McCone, Phillips, Powder River, Prairie, Richland, Roosevelt, Rosebud, Sheridan, Valley, and Wibaux counties), 6,807 have enrolled. Medicaid expansion has been beneficial by creating jobs and boosting income and economic growth. In 2018, Medicaid expansion is projected to create 247 new jobs and bring in $13 million in personal income in the Eastern region alone. 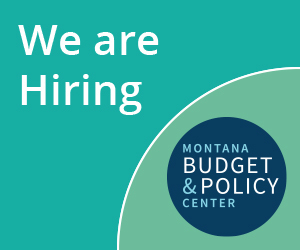 The Montana Budget and Policy Center is a nonprofit organization providing in-depth research and analysis on budget, tax, and economic issues. To learn more about MBPC, visit www.montanabudget.org.